Hydro-Rain's HRL Motion Sensor gives that added flexibility to your outdoor lighting control. Use in conjunction with Hydro-Rain's three station LED Landscape Lighting Controller for the ultimate lighting control. 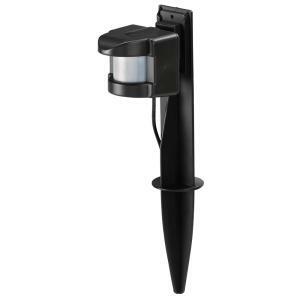 The sensor can be mounted on any wall surface or placed within your landscaped area on the stake included in your purchase. Unit has a 120° motion detection angle and a range of 40'.